Living without eyesight is devastating for anyone. When a defective drug causes vision loss, it can be especially horrific. Often times, the injured victim must make life changing adjustments to enjoy daily activities and deal with the anxiety and depression associated with the loss of vision. In many incidences, the wrong medication or defective drug is prescribed to patients that produce adverse side effects including vision loss. Optic neuropathy and optic nerve damage are often associated with bad medications where the optic nerve becomes inflamed or damaged, causing severe pain and the loss of sight. Numerous prescription medications have been linked directly to optic nerve inflammation. Some of these medications include Myambutol for treating tuberculosis and erectile dysfunction medications including Viagra, Levitra and Cialis. 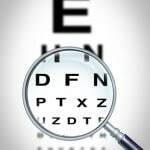 In addition, certain antibiotics including Cipro and Levaquin have caused significant eyesight problems including partial loss of vision and blindness. Many victims have filed lawsuits in claims against drug manufacturers providing the public harmful medications that cause vision loss and other associated side effects. Most patients believe that medications prescribed by their doctors are safe to use. However, "safe" in the medical world means that the prescription medication side effects outweigh the potential risk of injury to the patient. Often times, the victim suffers serious irreparable injury as an adverse side effect of taking the medication which could include diminished vision or blindness. Pharmaceutical manufacturers have a legal duty to develop and produce drugs that are safe for the consumer. Often times, the FDA requires the manufacturer to issue warning labels to doctors and pharmacies dispensing the product. In many incidences, the pharmaceutical companies rush their prescription medications to market to generate profits before completing adequate testing to ensure its safety on patients that use the product. Usually, the drug is recalled only after many patients have suffered serious injuries or have died from using the bad drug. Other times, the drug company aggressively promotes the prescription medication by persuading consumers through advertising, letting patients convince doctors of their need for the drug. This poor marketing strategy places the consumer at significant risk of damaging their health or causing their demise. When a pharmaceutical company develops and sells a prescription medication that eventually causes injury to patients, the victim has a legal right to seek compensation. When many patients are injured, class action and mass tort attorneys will file group lawsuits in an effort to share legal fees and obtain a higher amount of compensation. These defective drug lawsuits serve in the public interest to hold drug manufacturers and prescribing doctors legally liable for the injuries endured by victims. If you, or a loved one, are suffering injuries caused by a defective drug or the wrong medication, it is essential to seek legal advice. A skilled law firm has a comprehensive understanding of state and federal tort law to assist you in seeking the financial compensation you deserve. Rosenfeld Injury Lawyers LLC have access to necessary resources to protect victims suffering from vision loss caused by medication. We help victims seek justice when prescribed a defective drug that was so without proper warning of its dangers and adverse side effects. Our skilled attorneys remain abreast of current pharmaceutical recalls and harmful medication still in the marketplace. We accept cases involving local litigation and MDL (multi-district litigation that often involves grouped individual lawsuits) involving particular medications that have been consolidated by federal judges into a single large case. Contact our law firm at (888) 424-5757 today for a free, initial consultation with our qualified professional prescription medication injury attorneys to discuss your harmful drug claim. We accept these personal injury cases on contingency, meaning we only get paid when we are successful in obtaining recompense for you.